Here's another NEW decal Hillbilly Gus! 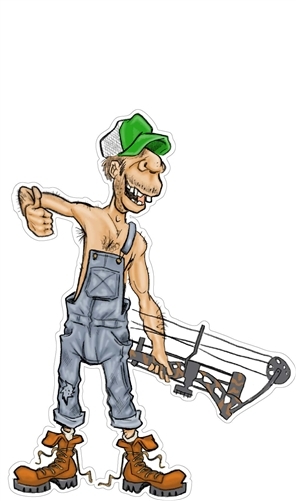 This hilarious art is depicting Gus fixin' to go out bow hunting. We love Hillbilly humor so we hope you get a lot of laughs from this great art as we do. Available in standard and large so slap a couple on your hunting rig and share the laughter!